Henry Mulberger Sr. who was at one time president of Globe Milling in Watertown, served in many capacities in this young city and was also an entrepreneur who was involved with many businesses. To go back to the beginning of this story we'll have to take you to Spire, Germany, where he was born in 1824. That would mean by the time Watertown was first settled in 1836 by Timothy Johnson, Henry Mulberger would have been 12 years of age. In Germany he attended public schools and when he left school, Mulberger joined his father's company which manufactured woolens. At the age of 23 he emigrated to the United States where he first lived in New York and later moved to Cleveland. It was in 1849 that he moved to Watertown. He came here five years before Watertown was incorporated as a city in 1853. Back at that time, Watertown was a bustling city of over 4,000 people. When he arrived in Watertown he operated a general merchandise store. But, he only stayed with that business about three years before deciding to study law. He was admitted to the state bar in 1956 and two years later he became part of the law firm of Enos & Hall. At the time it was one of the most prominent law firms in the state. Later he left that affiliation and practiced law alone and then he became a partner with Harlow S. Orton who was chief justice of the Wisconsin Supreme Court. That partnership ended in 1860 and he once again returned to a sole practice. He was one of the pioneer lawyers in Watertown and was highly regarded and quite successful in his law business. When Watertown was in its infancy, Mulberger operated a large fire insurance business and had the insurance on many of Watertown's biggest and oldest businesses. He was the local agent for one of the companies for 33 years and he was the oldest insurance agent in the country when he resigned late in life. Henry Mulberger Sr. was one of the founders of the Wisconsin National Bank which was later sold to Valley Bank. Valley Bank in turn was sold to M&I Corporation and was consolidated with M&I's North Second Street location in Watertown. The Wisconsin National location is the present Town & Country Bank. For many years he served as vice president and a director, positions he held until just days before his death on Jan. 19, 1896, at the age of 72. He was also president of Globe Milling Company on South Water Street, and was involved with many other enterprises in Watertown and also in North Dakota and Michigan. In addition to all of those businesses, Henry Mulberger Sr. had time for public service. He was justice of the peace in Watertown from 1853 to 1854. In 1854 he was also elected clerk of the municipal court. He became Watertown's city attorney in 1856, 1857 and 1858. 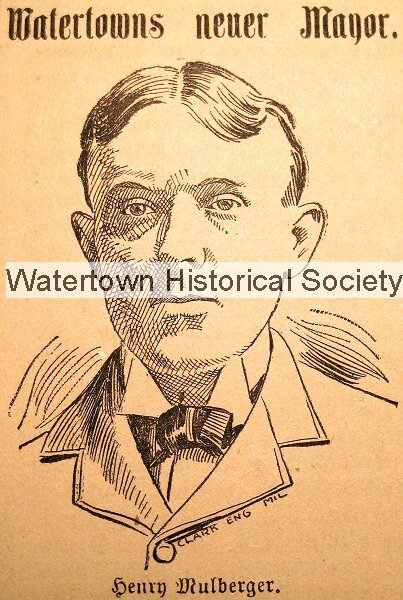 In 1865 he served as an alderman and then two years later, in 1867 he was elected mayor of Watertown. Although a staunch Democrat, Mulberger was personal friends with Carl Schurz, a Republican who spent some years living in Watertown and later moved to New York and who was active in national politics. The Mulberger home was one of the biggest and most elegant in the city. 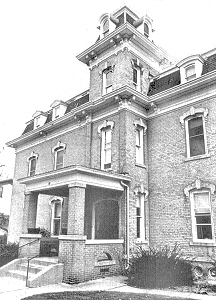 The home is located at 311 S. Washington St., and was built by Mulberger in the 1870s for his family. The home has a Second Empire roof on the main house and a distinct tower. The home has Italianate, French and Victorian influences throughout it. The home was built with a large central hall, an open stairway and wide moldings and woodwork throughout it. The family lived in the home for many years. We're told the home was originally lighted by gas chandeliers but they were later converted to electricity. For many years the home was owned and used as a group home for Bethesda Lutheran Communities and was later sold and it's now in private hands. Among the men who have served Watertown as mayor during its first 100 years — prior to the advent of the city manager form of operation, one family has supplied four chief executives, the Mulberger family. A father and three of his sons were elected to terms as mayor. 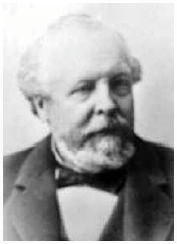 The elder Mulberger, Henry Mulberger, Sr., was elected mayor in 1867-68. He was the city's eleventh mayor. Henry Mulberger, Jr., a son and for many years president of the Bank of Watertown, served as mayor from 1898 to 1899. The other two were brothers of the former banker — the late Attorney Arthur Mulberger, who served from 1906 to 1908, and the late Charles Mulberger who was mayor from 1916 to 1920. He was later a state senator. Providing mayors is an old custom for the Mulberger family, for it has furnished mayors in the historic city of Spires in Rhenish Bavaria, also known as Speyer. That, city, twice overrun by the French, has had Mulbergers for mayors or burgomasters at intervals for a period of nearly 400 years. It was Philip Henry Mulberger, burgomaster of Spires, who was levied on for troops and funds by M. Marin, one of Napoleon's marshals, in 1809, and records show that Jean Mulberger, a paternal ancestor of the Watertown family, was burgomaster of Spires[*] way back in 1666. [*] Spires is one of the most famous cities in Europe. It was the seat of the diet of many German emperors in the Middle Ages, and the ashes of eight such rulers lie in its famous cathedral which was begun in 1030 by Conrad and completed in 1061 by Henry IV. 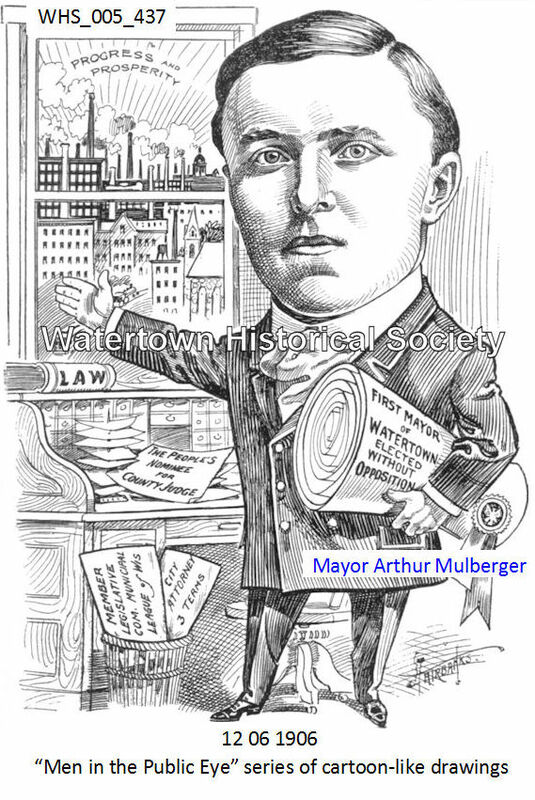 In addition to serving as mayor of Watertown, Arthur Mulberger was also city attorney for several years. Daniel Mulberger, father of the first Henry Mulberger in Watertown, was among the members of the family who served as burgomaster of Spires. It is doubtful if any city in the United States can equal the record of having a father and three of his sons elected to serve as mayor as is the case in Watertown. 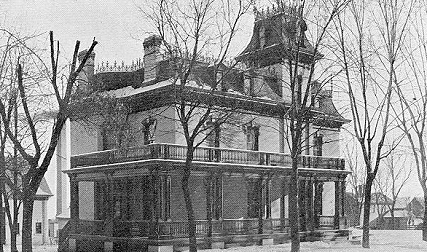 The large Watertown brick Second Empire home was built by Henry Mulberger, Sr., at 311 South Washington Street in the early 1870's. The Mulbergers came from Germany in the mid 1800's when there was a great influx of German persons into this part of Wisconsin. Henry's father was a burgomaster of a good sized German city. His grandfather had been a city official in 1809 and was active in arranging tax assessments as requested to help support Napoleon's army. Following in his footsteps three members of this family served as mayor of Watertown. Watertown Artillery formed; 2LT Henry Mulberger. Arthur, his son, was mayor in 1908. Charles was elected mayor in 1916. Charles went on to become a Wisconsin State senator. Lewis Monument dedication participant, Charles Mulberger. 09 22 While there have been rumors about the city for some time that Mayor Arthur Mulberger was to resign, give up his practice and remove to Chicago, the announcement of the truth of the report will come as a surprise to many. The mayor returned yesterday from Chicago after an absence of three days and upon returning gave it out as authentic that he really was to leave the old home town to take up the practice of his profession in the metropolis of the west. Mr. Mulberger has disposed of his law business to District Attorney Robert Lueck of Waterloo, and J. E. Davies, his present partner, who is now a resident of Madison but who will devote a portion of his time to the practice here. Mr. Lueck, however will become a permanent resident of our city and is expected here this week. Mayor Mulberger will tender his resignation as mayor of the city at the meeting of the city council . . . It will in all probability take effect very soon, as Mr. Mulberger is planning on leaving Watertown about the 15th of October. Home was built by Henry Mulberger Sr. in the 1870s. “Senator Charles Mulberger, Watertown, who represents the Democratic Thirty-third district, was born, reared, educated and elected in his home town. He has the reputation of being a good business man, who is much interested in city government. So he was placed on the Committee on Corporations where he would have opportunity to exercise his special training. “Mulberger tends strictly to business, but he does it without making many speeches or introducing many bills. One of the bills he has introduced, however, may cause all the David Harums and other hoss-traders to organize a lobby, because it includes livestock in the category of things which it is forbidden to fraudulently advertise. Mayor Mulberger was without question Watertown’s most flamboyant mayor, a very popular executive. He had a law degree but never practiced law. He would come down to the business section every morning around 10 o’clock, go to the old Seager Barber Shop for his daily shave and a trim, then walk over to a floral shop and buy a fresh carnation which he wore each day in his bottonhole, then make the rounds of downtown business places, including the old Deutsches Dorf which was then the gathering place for many Watertown business men and executives. It was by far the finest saloon Watertown ever had and was located at the corner of Main and North Third Street, now the site of the Wisconsin Gas-Electric building. 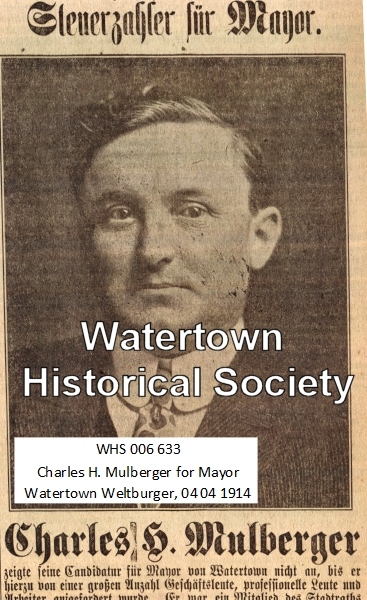 Mr. Mulberger was a “promotive” mayor of Watertown and never missed an opportunity to advance and publicize the city. He played an important part in promoting the old Watertown Inter-County Fair and for years was its superintendent of speed, or the race track. He had a distinction which he shared with his family. His father, Henry Mulberger, Sr., and two of his brothers, Henry Mulberger, Jr. and Attorney Arthur Mulberger all served the city as mayors. 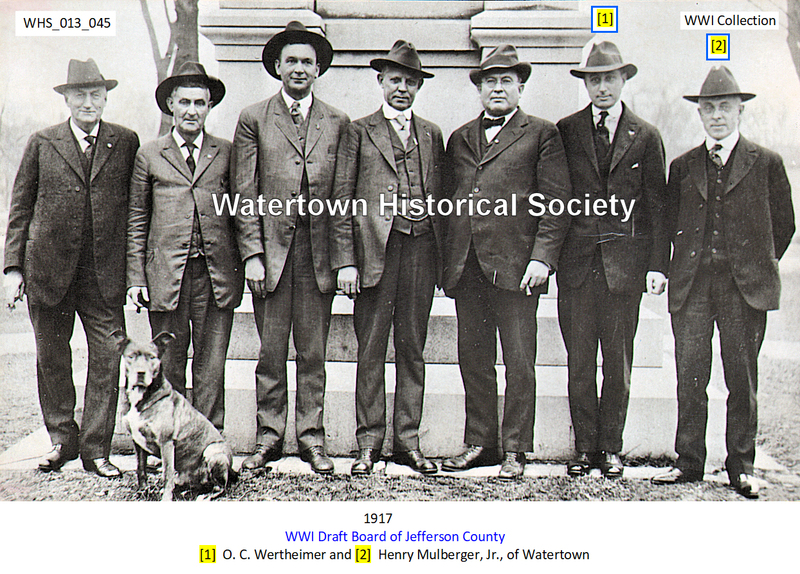 Thus Watertown has had four Mulbergers who occupied the office of mayor, a father and three sons. The imposing Mulberger home shows many architectural influences. It is built with a Mansard roof [French] with Victorian influence throughout [American] and the original tower known as a Bismarck helmet [German] still tops the home. There are many windows, even in the almost two story section of the Bismarck helmet, and .protruding through the roof. The home was built as were many other large homes of this era, with a large central hall, open stairway, gleaming and excellent woodwork throughout. The Mulbergers occupied the home for many years. It is currently owned by Randy and Sandy Effinger. In 1959, the home was purchased by Bethesda Lutheran Home and converted into a group home for residents. Randy and Sandy bought it from Bethesda in the spring of 1990. Much of the interior and exterior remains as it was originally built. The present porch is a remodeled remnant of the large porch that at one time extended across the front of the house. The house has original woodwork, two beautiful original gas chandeliers that have been converted to electric, four fireplaces and an open stair case. The house is a restoration in progress. A newly remodeled, beautiful master bedroom suite has a fireplace, whirlpool tub, wet bar, fourteen wall papers and borders from the Bradbury & Bradbury Neo-Classical Collection, and tow originally oil chandeliers converted to electric. Many Christmas decorations including two trees, one crystal and white with a Santa flying around the top, a Snow Village and some Christmas Anna Lee collectable dolls. Image Portfolio, Photos  contained within photograph album donated by Henry Mulberger estate.